When we cross paths with Heron, what does he want us to know? What is his message for us? 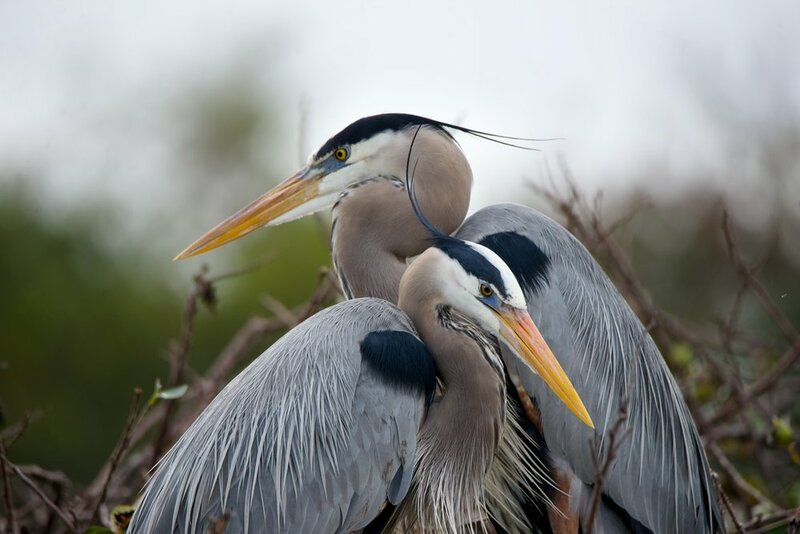 In this blog post, I will talk about the Blue Heron as a Spirit Animal. Peace, serenity, stillness, patience, silence, grace, and healing. These are the traits that come to mind when I think of this beautiful bird. I've recently had 2 encounters with this majestic animal. Both times that I witnessed the creature, I immediately became like the heron itself - quiet, still, and contemplative. 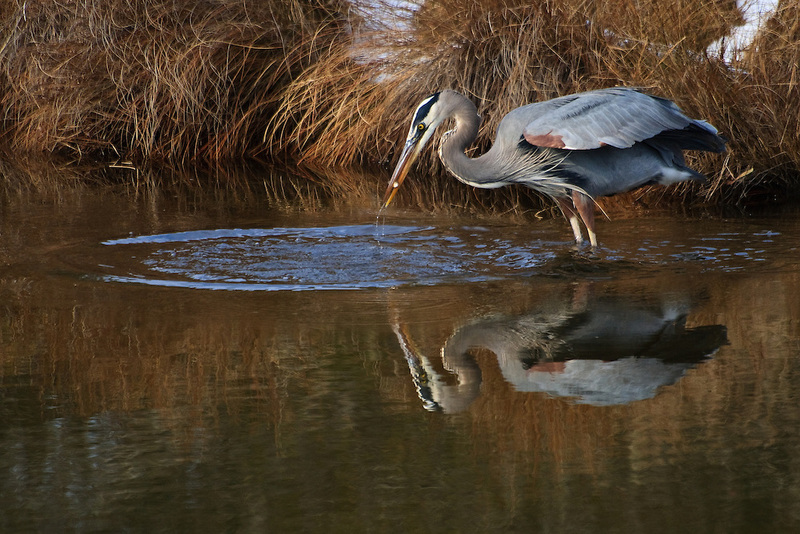 The Great Blue Heron is a true Mystic of the Chesapeake! Here are some things I've learned about the spirit of the Great Blue Heron. Heron's are solitary creatures. They do not hunt or live in flocks. Since they spend so much time with themselves, they really must become their own best friend and ally - but that doesn't seem to bother them too much! 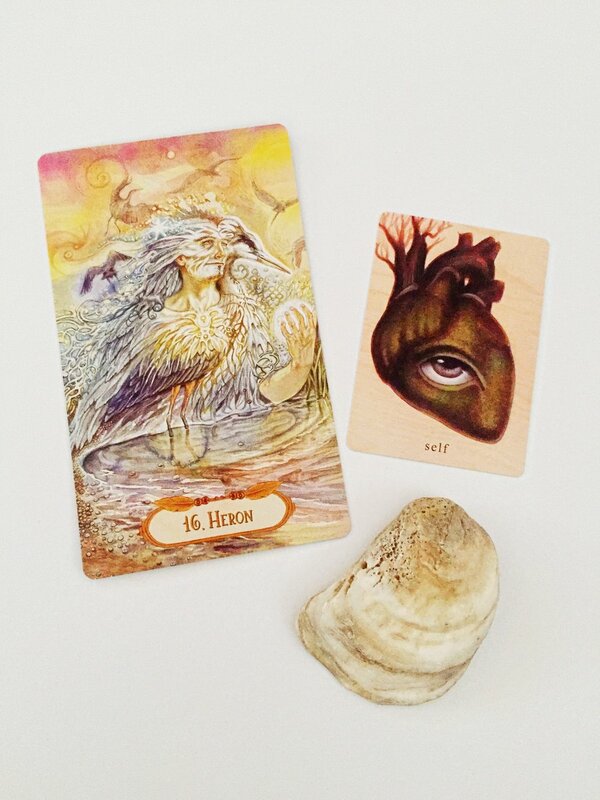 The Heron comes to us with the message to take time out of your busy schedule and truly get to know yourself. The best way to do that is to spend time alone! Put away distractions - the cell phone, the Xbox, the iPod, Facebook, anything that you can watch, listen to, play, or that makes noise. Sit in the silence with yourself. Be in the present moment. Don't worry about the future or the past. Who are you - right now? Who are you without prying eyes? Who are you bare bones? What is in your heart? Yes, it will probably be uncomfortable the first couple of times you try this exercise. In the 21st century, silence can feel deafening with life and the media always hurling things our way! Silence can be scary. Being alone can be intimidating. But the key here is that you can be surrounded by people and feel completely alone. Blue Heron is never lonely because he knows he can rely on himself and is confident in who he is! Get to know yourself - your strengths, your weaknesses, your talents. Become your own best friend. That way, even when there is no one in your physical presence, you are never alone. You carry YOU with you wherever you go! Do you want to be your own biggest cheerleader or do you want to be a stranger to yourself? If you don't know who you are, how can you expect someone else to? As the Great Blue Heron stares into the water, ever so patiently waiting for a yummy morsel to swim by, he has lots of time to contemplate. His reflection stares, unblinking, unmoving, back at him. What does he see - past battle scars and ruffled feathers or a peaceful, calm, and sleek independence? Be still in the present moment and reflect on your life and who you are. The Heron comes to us with a message of meditate and contemplate. You are exactly where you need to be right now in this moment! When this graceful bird crosses your path, stop and think - just pause. Sometimes that is all we need to do when we are in the middle of a chaotic situation or a difficult decision. If we pause long enough in disturbed waters, the ripples will smooth out, and we can once again gain clarity. The Heron is a patient hunter. Barely moving, with eyes unblinking, they search the surface of the water with their eyes. Daring not to breathe, for the slightest breath may cause a ripple in the water. They wait like tall statues, unbearably still, until a fish swims by unaware of the danger overhead. The moment has come - the heron moves at lightening speed, catching the fish and gulping it down. If you do so much as blink you will miss it! Heron comes with the message to wait for the perfect opportunity before you strike. You will know when it is time. I also think this has a warning element of not letting opportunity pass you by or you may go hungry! Don't be too afraid to make a move. Don't hesitate or you might miss the moment you've been dreaming of! Go after your prize! Be confident in yourself when you strike and you won't miss your mark. The Heron is always moving between the worlds of water, earth, and sky. He has to feel a sense of home in every one. He is comfortable in all of these environments and can move from one to the other without any fear or resistance. He flows, flies, glides, swoops, and dives in and out of these 3 habitats. He knows how to use each of these elements for their resources to help his survival. Become one with your surroundings. Where are you most at home? How do you co-create with nature and your environment (especially to find opportunity)? How easily do you adapt to change in your environment? Learn about your environment and how you can tap into its resources. Realize that you are a part of a vast ecosystem. Know that whatever you do, it will create a ripple effect throughout your environment. Everything is effected because everything is connected. For example, how does your work life, carry over into your home life, carry over into your romantic life? Are there any boundaries that you need to set between them all? Are you expecting something from a situation or from someone that they are just not capable of giving to you (often times to no fault of their own)? The Great Blue Heron knows he won't catch a fish in the sky and that he can't fly in the water. He knows that he must go to the water if he's hungry and wants to hunt. He takes to the skies if he wants to fly! How can you be more in the flow with the different parts of your life and the demands of each? Do you know where to go to get what you need? When you're secure in who you are and your capabilities, you can feel at home almost anywhere! Has the mystical Heron flown across your path? Did his lack of movement catch your eye? I'd love to hear about your experience with this majestic creature!